New Houseplants – Project 365 Day 65 a photo by Ladewig on Flickr. One of my projects for the weekend was to replace a few dead houseplants. Empty planters look pretty sad. 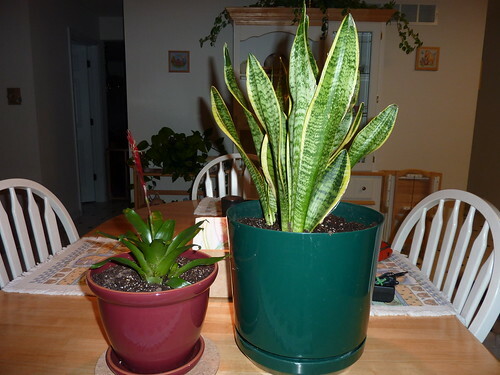 Here you have a bromeliad on the left and mother-in-law’s tongue on the right. Always exciting things going on at home!